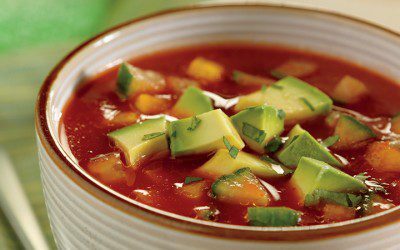 Combine tomato juice, tomatoes, bell pepper, cucumber, salsa, oil, and garlic in large bowl; mix well. Cover and chill at least 1 hour or up to 24 hours before serving. Stir in avocado and cilantro just before serving.